There’s a lot of misinformation about fluoride. Does it strengthen teeth or not? The truth is fluoride is one of the most important weapons against tooth decay. Your dentists at Kid Dental Reno and Sparks, NV, want to share the facts about fluoride and how it protects your child’s teeth. Kids eat a lot of junk, whether it’s sugary sodas or candy. The sugar in foods combines with your child’s normal oral bacteria and produces an acid which is strong enough to eat through tooth enamel, causing a cavity. That’s where fluoride comes in. 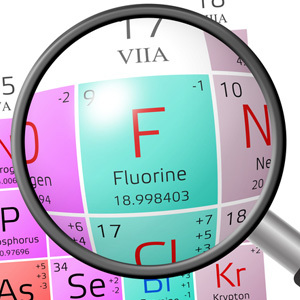 Fluoride is an element that occurs naturally and is present in groundwater and other places. Depending on the area where you live, your child may ingest fluoride from natural sources. For the vast majority of kids, they need fluoride supplementation in either tablet or drop form from ages 6 months to 16 years, according to the American Dental Association. In addition, children should also receive topical fluoride treatments at the dentist’s office to protect surface enamel. So how does fluoride protect your child’s teeth? When fluoride is given as a supplement while teeth are forming, it works from the inside out. Fluoride incorporates into the microscopic structure of tooth enamel, strengthening and hardening it. Tooth enamel becomes resistant to the effects of bacterial acid caused by a diet high in sugar. Fluoride is the single most important way to guard against tooth decay. Fluoride treatments performed in the dental office work from the outside in. The fluoride seeps into tooth enamel, strengthening the surface layers of enamel. When surface enamel is strong, bacterial acid can’t get through to the softer layers, called dentin, underneath the tooth enamel. If you are wondering whether to give your child fluoride, just remember that it is the most potent weapon against tooth decay. You can help your child enjoy a healthy smile for life, thanks to fluoride treatments. For more information about fluoride and other pediatric dentistry topics call your dentists at Kid Dental in Reno and Sparks, NV, today!